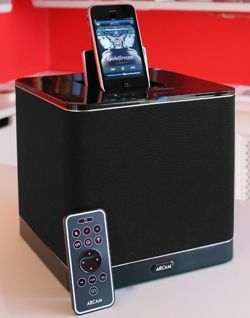 Arcam offers free home trials of its rCube iPod dock | What Hi-Fi? The British hi-fi manufacturer has teamed up with some of its best retailers to offer potential customers the chance to try out an rCube in the comfort of their own home (note: dealers may require a refundable deposit). All you have to do is head on over to this page on the Arcam website, choose the participating retailer in your area and give them a call. Those taking part in the offer include Sevenoaks Sound and Vision, Superfi, Music Matters, Peter Tyson, Hughes, Rayleigh Hi-Fi, Unilet, Grahams, Bartletts and Infidelity. To find out more about the rCube, read our review or watch the video.